Gov. Paul LePage speaks at a news conference, Thursday, Dec. 15, 2011, at the State House in Augusta. 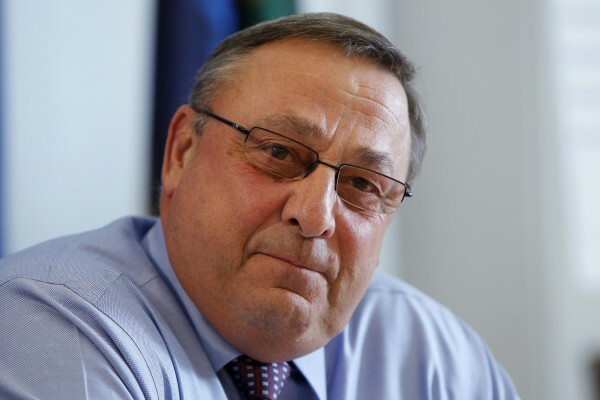 AUGUSTA, Maine — A $500-per-person fundraiser was held Tuesday by Gov. Paul LePage’s re-election committee just one day before the start of the 125th Legislature’s second regular session. Since money cannot be raised from lobbyists during a legislative session, many Democratic and Republican groups held fundraisers before the session. But LePage appears to be running for re-election uncommonly early. He filed paperwork in August 2011 to run for re-election in 2014. A re-election website also was launched recently. Paul Lavin, deputy director of the Maine Ethics Commission, said the formation of a gubernatorial election committee more than three years before an election is highly unusual. Online records only go back to 2002, but this is by far the earliest such instance in those records. When Gov. John Baldacci decided to run for re-election, he filed paperwork in October 2005, about one year before the 2006 election. Lavin said LePage and any other candidate can file whenever they like — it just means they have to submit campaign finance reports. The first report is due Jan. 17 and would include everything raised and spent during 2011, according to Lavin. A fundraiser on Tuesday gave donors the option of contributing $3,000 to host the event, $1,500 to co-host or $500 for a ticket. Those are the maximum donations allowed by law, a ceiling that LePage and lawmakers ensured was doubled last spring. The governor’s office referred questions about LePage’s re-election committee to Brent Littlefield. An adviser to LePage and one of his 2010 campaign architects, Littlefield said he never comments on fundraising because everything is available through campaign finance reports. He did say that just because the governor is raising money doesn’t mean he’s actively campaigning for re-election. Maine Democratic Party Chairman Ben Grant said he was surprised the governor is so interested in re-election this early. Shortly after LePage was sworn into office, a nonprofit group funded largely from leftover campaign and transition funds formed. That group is called Maine People Before Politics. Littlefield is involved with Maine People Before Politics and with the governor’s re-election campaign but he said the two are separate and must be by law. Maine People Before Politics has been largely supportive of the governor’s agenda and of his accomplishments, but Littlefield said the group remains issue-focused. Richard Swanson is the treasurer of both Maine People Before Politics and the Committee to Re-Elect Paul LePage. Swanson also kept the books for LePage’s 2010 campaign for governor and since has been appointed by LePage as deputy director of the State Planning Office. The LePage re-election committee and Maine People Before Politics are entirely separate from the Maine Republican Party, which presumably would support LePage in 2014.